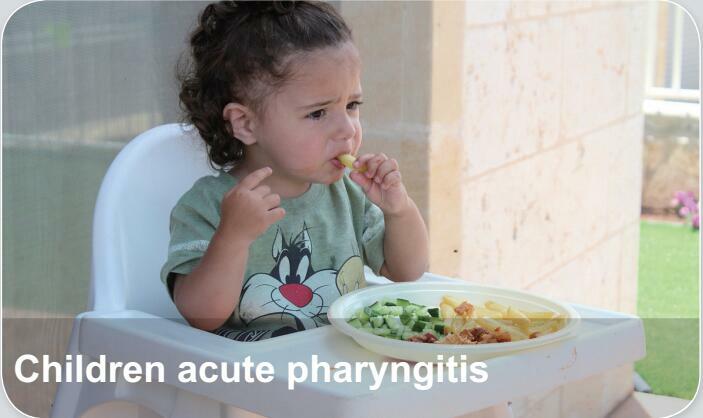 Children acute pharyngitis is an acute inflammation caused by pharyngeal mucosa lesion, submucosl and lymphoid tissue lesions. It usually appear secondary to acute rhinitis or acute tonsillitis, or as a part of upper respiration tract infection. When children’s systemic or part of resistance decreased caused by cold, pathogen infection will lead to the acute pharyngitis.